In May 2013 we found ourselves rushing back from Lake Erie to address the St Lawrence Institute's 20th Annual Symposium on the Great Lakes / St. Lawrence River Ecosystem, on the subject of "St Lawrence tributaries in Ontario as refuges for Unionid Mussels." Several of these tributaries are crossed by the Enbridge/Transcanada pipelines, and consideration of their refuges must be part of planning for any changes to the pipelines. We've posted our presentation online. The concluding plea - "send us bags full of clam shells" - is relevant to any place where pipelines are planned to cross streams in Canada. "Our native freshwater Unionid mussels are an ancient lineage, adapted to life in streams by hitching upstream rides on fish as larvae, often taking a decade to mature and in some species living for more than a century, as serious filterers of the water. They're more diverse in eastern North America than anywhere else; eastern Ontario is on the fringes of this richness with confusing populations in the three abundant genera, evidently the result of hybridization among stocks form different glacial refugia. Many species were already in trouble when Dreissena (Zebra) mussels arrived in 1986, but Unionids were totally wiped out in many waters by smothering and starvation by Zebra and then Quagga mussels. Unionid conservation depends on finding and protecting populations in small streams, such as the direct tributaries of the St Lawrence; these populations were formerly the 'twigs' of the population 'trees,' but with the 'main trunks' wiped out, the twigs are what we've got to find and sustain. 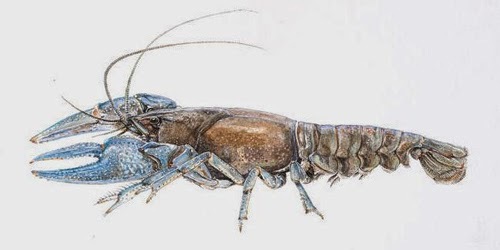 "In downstream order along the St Lawrence River, the Gananoque River drains lakes full of Zebra Mussels and seems to have lost its native Unionids; La Rue Mills and Jones creeks haven't been well explored; below its falls, Lyn Creek supports a diverse fauna including the Endangered Ligumia nasuta; Butlers & Buells Creek run through Brockville with a meagre population of Anodontoides ferussacianus; Hoasic Creek supports the three locally common species (Lampsilis radiata, Pyganodon, and Elliptio complanata) and the small-stream Lasmigona compressa; Hoople Creek at Hwy 401 has abundant Lampsilis radiata, with fewer Pyganodon and Elliptio complanata. The Raisin River has been systematically surveyed, and 6 species were found (Elliptio complanata (n = 384), Pyganodon grandis (71), Lasmigona compressa (25), Anodontoides ferussacianus (20), Lampsilis radiata (3)); Sutherland Creek and Wood Creek may have potential as Unionid habitat, but haven't been explored. 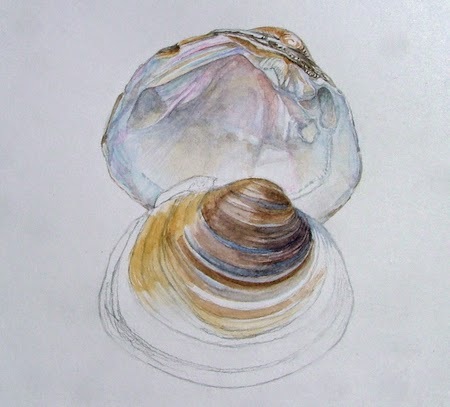 We encourage everyone to send us bags of clam shells to help complete this survey." link to - to help complete this survey"